Creating customer centric operating models to ensure underwriting & claims efficiency. Underwriting & Claims management professionals are constantly challenged with modernizing processes for greater efficiency with limited financial and talent resources; significant regulatory and compliance requirements. Revenue growth and profit are no longer sufficient benchmarks for success. Time has come for insurers to strengthen their risk assessment and underwriting mechanisms to help in curbing losses while improving claims ratio and working on improving efficiencies in policy administration. The claims and fraud monitoring process also needs to be simplified while keeping in mind challenges in distribution, pricing and claims management and these issues need to be addressed on priority to sustain growth. Launched and conceptualized by Inventicon Business Intelligence Pvt. 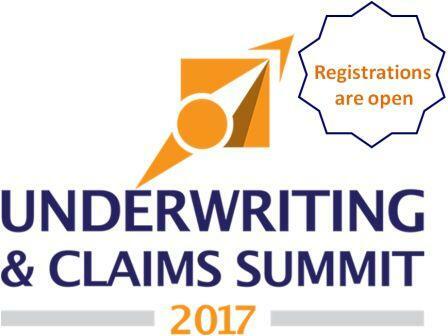 Ltd., the Underwriting and Claims Summit will focus on bringing together industry experts in an open and collaborative way to share real life case studies and lessons learned, it will provide an exclusive platform that brings together industry leaders to discuss on how you can improve customer experience during the claims and underwriting process, enhance operational efficiency & quality, effectively manage risk and minimize avoidable leakage, reduce volatility of claims experience and create sustainable and profitable operating models. Some of the participating companies this year are HDFC ERGO General Insurance Company Ltd., Aditya Birla Health Insurance Company Ltd., IFFCO Tokio General Insurance Co. Ltd., Birla Sun Life Insurance, Bajaj Allianz General Insurance Co. Ltd., IDBI Federal Life Insurance, among various others. The silver partner for this conference is Audatex- Audatex, a Solera company, with presence in over 75 countries, is the world's leader in providing software and services to the auto insurance claims processing industry. Audatex in India has been working with several Automotive manufacturers (OEMs) and insurance partners to digitize and revolutionize the auto insurance claims processes. Backed with data and comprehensive software technology, it provides a very user-friendly system for accurate assessment of vehicle damage that can be done very quickly and accurately the first time. The Credit Bureau Partner for this conference is CRIF: CRIF is a leading FinTech from Continental Europe which specializes in credit information, business information, analytics, scoring, decision and credit management solutions. It has operations in 50 countries across 4 continents. CRIF operates CRIF High Mark, India’s leading credit bureau, which has largest database of individual records and supports millions of lending decisions every month. It is the only full service credit bureau covering all borrower segments – MSME/ Commercial, Retail and Microfinance. CRIF in India now also offers Business Information Report, Analytics & Scoring services, Credit Management and Decision solutions in India. Our media partners for the event include – iUeMagazine, The Insurance Times, Bimabazaar.com, Life Insurance Today, Dalal Street Investment Journal & Indian Journal of Finance. About Inventicon Business Intelligence Pvt Ltd: Inventicon Business Intelligence is the result of a decade long effort by the founders in the space of business information. We develop sector focused informational conferences and training workshops. Our conferences revolve around current scenarios and opportunities in the global market place and provide timely opportunities for solution providers to meet their target market and for end users to take back key learnings and experiences. Our events act as a point of convergence for senior industry professionals who strive for innovation, strategy and commercial drive. Delegates can expect to hear from industry's best practitioners, get in direct contact with regulators and stimulate high level discussions with peers. 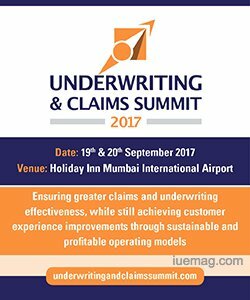 The iUeMagazine team is delighted to work with Underwriting & Claims Summit 2017 as Online Media Partners & is expected to bring Unlimited Inspiration for all readers from the proceedings of this event. Staying tuned to the enriching updates from this event is recommended. Any facts, figures or references stated here are made by the author & don't reflect the endorsement of iU at all times unless otherwise drafted by official staff at iU. This article was first published here on 12th August 2017.